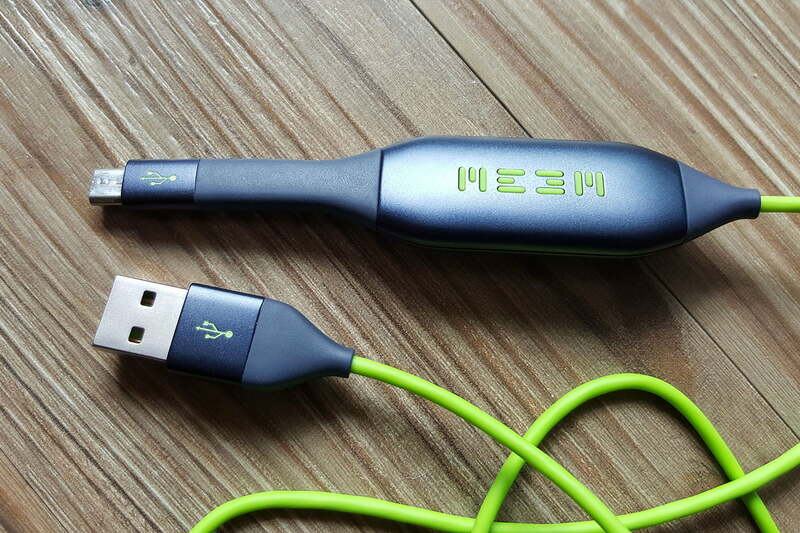 Meem’s charging cable conveniently backs up all the precious info on your phone while it charges, but it’s pricey. Our smartphones are frequently lost, broken, or stolen and our precious memories can disappear along with them. Everyone knows that they’re supposed to back up their devices, but it’s easily overlooked in the rush of everyday life. If it’s not simple and automatic, then most of us are likely to forget. That’s why Google and Apple, along with most smartphone manufacturers, offer automatic cloud backup services. There are limitations to what these cloud services will back up, and some people may have privacy concerns about sharing all their photos, videos, and other precious files. The Meem cable offers an alternative route to securing your files by combining an automatic backup with your nightly charge. It is essentially a flash drive embedded in a charging cable with secure PIN protection. The Meem cable began life on Kickstarter. The basic idea was to create a charging cable that backs up all of your data every time you plug your phone in to charge. We tried one out to see how well it works. At one end of the bright green cable, which is just shy of 4 feet long, you’ll find a standard USB connection that will plug into any wall charger, laptop, or computer to draw power. Toward the other end, there’s a smoothly curved thumb drive-sized lump and then a flexible end with either a Micro USB connection for Android, or a Lightning connector for iOS devices. It looks like your charging cable swallowed a USB Flash drive. It works with devices that run Android 4.1.2 and above or iOS 7 and above. The iOS-compatible lightning cable is 32GB and costs $90. The Android, Micro USB version is disappointingly just 16GB and costs $70. The first time you plug the cable into your phone, you’ll get an onscreen prompt to download and install the Meem app via the Play Store or the App Store. Once installed, you’ll select a four-digit PIN, and the Meem app gets to work backing up your files. It backs up your contacts, calendar, messages, photos, videos, and music. It’s a very simple app to use. You see your phone on the left and your backups on the right. The first time you back up will take a while, depending on how many files you have on there. It transfers at 3 to 4 MBps, which roughly translates to around 1GB of content every 6 minutes. Every time you plug in, the Meem will automatically update based on what’s on your phone. That means if you add or delete something from your phone, it will be added or deleted from the Meem the next time it’s connected. You can tap on the background to pause a backup, swipe down to see an estimate of the remaining time it will take, and tap in the middle to expand the remaining storage space view. If you tap on your phone or the mirror image backup, the category menu will pop out and you can tap on categories to freeze them, so they aren’t synced. That way, you won’t run out of space on the Meem so quickly. What makes it better than the cloud? The Meem cable works well, but you may be left wondering what it offers over a cloud backup. There are a few things worthy of note. Firstly, it includes your text messages in the backup. Google will allow you to back up just about everything else, but it doesn’t include your text messages. With Apple’s iCloud, you can get your text messages from a backup, but it means doing a restore of everything – There’s no way to just restore text messages. You can get third-party SMS backup apps that will handle this for you, but the way Meem does it is very convenient. Secondly, the Meem cable is PIN protected. You need the four-digit PIN before you can sync data from the Meem to your phone and it’s securely protected using the Advanced Encryption Standard (AES) with a 256-bit symmetric encryption algorithm. Your cloud services are password protected too, but with the Meem, you aren’t sending files anywhere or relying on a company to look after them for you, so there’s arguably less of a security and privacy risk. Finally, the Meem cable can also be used with multiple devices. In the past, it used to be a real pain to change cell phones, and if you lost your phone or it died, you had no way of getting the photos, messages, and other files from it. You can plug your Meem into a different phone, enter your PIN, and then drag the backup you want over. Tap to freeze any categories you don’t want to sync. This also makes it a neat and quick way to share photos with friends and family, for example. Even if the new phone has a different messaging app, you can have Meem handle the transfer of your old messages. We synced a backup from a Samsung Galaxy Note 5 to a Sony Xperia X. During the transfer it prompted us to switch Meem to our default messaging app and then switch back to the Sony messaging app once it was done. All of the text messages from the Note 5 then appeared correctly in the default messaging app on the Xperia X. The Meem makes switching phones easier, and it’s a great safeguard against losing all your data. As a charging cable, the Meem feels durable and it supports a charging rate of up to 2.8A at 5V. That means it will support some fast charging, but it doesn’t quite hit the peaks of the latest standards. It does get quite warm when you use it, but we didn’t encounter any faults during our testing. The Meem cable will also copy data from MicroSD cards, but it won’t sync copyright protected files and it won’t transfer files onto a new device when the file type is unsupported on that new device. You can pull the cable out of your phone mid-sync and it will just pick up where it left off when you plug it back in again. We were a little disappointed to find that there’s no way to drag and drop files from a Meem onto your computer or laptop. It just acts as though it’s plugged into a power source. Unfortunately, that also means you can’t use it as a pass through cable to transfer data from your phone to your computer and vice versa. Storage space could also become an issue. If you exceed the Meem’s capacity, it will stop backing up. As such, it’s a bit puzzling that the iOS version is 32GB and the Android version is only 16GB. According to the Meem website, the average Android user has 1.94GB of “meemable data,” but our first backup was 12GB and some people will have more than that. The Meem comes with a three-year Limited Warranty Worldwide, which covers you for basic faults, but not for any damage you cause yourself. If you dislike the idea of backing up in the cloud, or it’s a difficult prospect for you because of data charges or poor Wi-Fi coverage, then the Meem could be ideal. It’s really designed to be your bedside charging cable that you plug into every night and the fact it automatically backs up as part of your daily routine is undeniably handy. You could argue that it doesn’t do anything you can’t set up yourself a lot cheaper, but convenience is sometimes worth paying for. Sling TV vs. PlayStation Vue: Which live TV streaming service should you subscribe to?